The list of vegan and vegetarian celebrities keeps growing, and vegan hip-hop fans couldn’t be more excited. Earlier this month, Beyoncé announced she’d gone vegan to prep for Coachella, and Drake recently announced that he’d ditched meat. But switching to a plant-based diet can be challenging at first—and I’m guessing most of Beyoncé’s and Drake’s fans don’t employ personal chefs. Luckily though, it’s easier than ever to learn about vegan nutrition and vegan cooking. In fact, the Academy of Nutrition and Dietetics approves a vegan diet, and the American College of Cardiology and the American Institute for Cancer Research both promote plant-based eating. Vegans even have their own food pyramid of sorts, and it’s called the Power Plate. 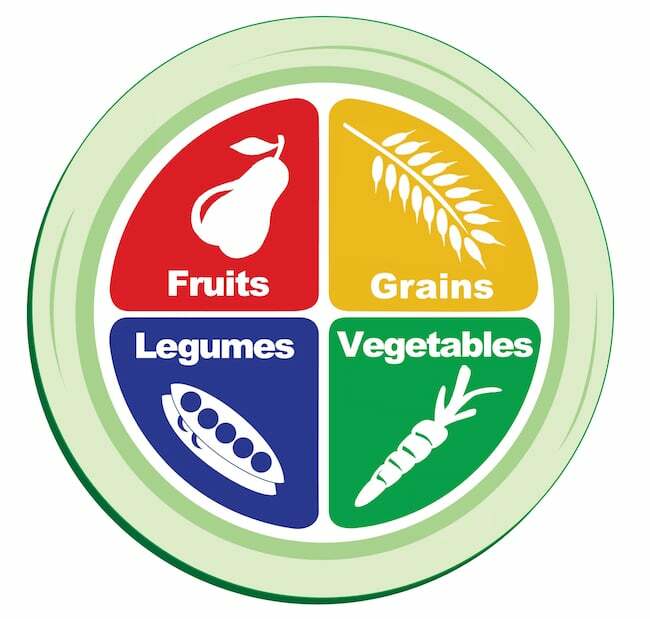 Created by the Physicians Committee for Responsible Medicine, the Power Plate presents four food groups: fruits, grains, legumes, and vegetables. According to the Power Plate, a healthy vegan diet should focus on filling your plate with a colorful variety of these foods, not on counting calories or servings—which is pretty rad, because no two people have the exact same dietary needs. Although all vegans need a daily dose of plant-based protein, it’s safe to say former NFL player David Carter (aka the “300 Pound Vegan”) requires more of the stuff than this 115-pound writer. Fortunately though, super-active vegans can meet all their protein needs with a whole-foods plant-based diet. And according to one plant-based nutritionist, active vegans don’t necessarily need to eat protein-packed plants at every meal. So there you have it: a comprehensive, physician-approved guide to getting all your nutrients from plants, plus some solid advice from a verified plant-based nutritionist. And if you could use some extra help coming up with specific snacks and meals, head over to ChooseVeg and check out the meal planner.